Prolonged poor posture from hunching over computers and devices at home, school or in the office can lead to back pain, headaches, and general body pain. You can rely on taking painkillers to help or keep getting expensive massages. 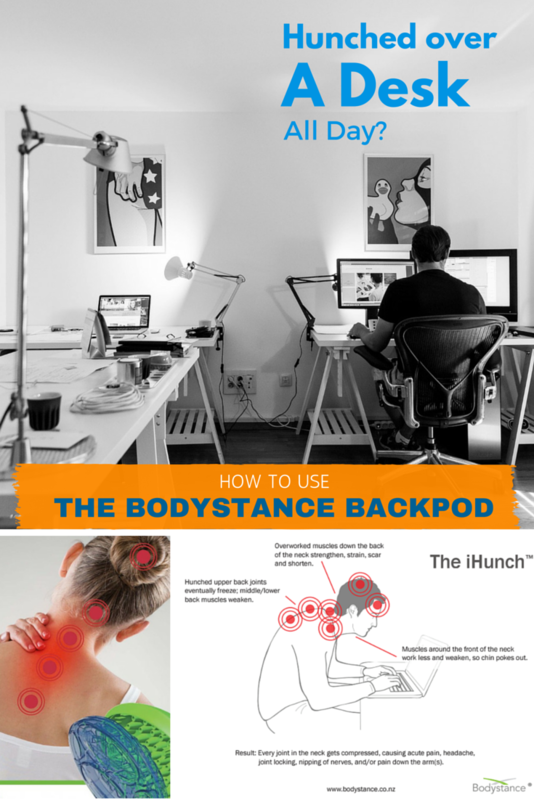 The other option is to use the Bodystance Backpod, an innovative device designed by a kiwi physiotherapist to stretch out tight, sore upper backs and help reverse the effects of bad posture. What are the effects of prolonged hunching? Muscle tightening and fatigue can lead to chronic problems from the neck down to the lower back. Spine pressure happens when the spine curves to change position, thus affecting its general ability to move and be flexible. A vertebrae can become misaligned from the rest of the spine affecting the formation of the spinal column. Blood vessel and nerve constriction results when pressure absorbed by the blood vessel and spinal nerves leads to not just to neck and back pain, but also pain in other parts of the body. 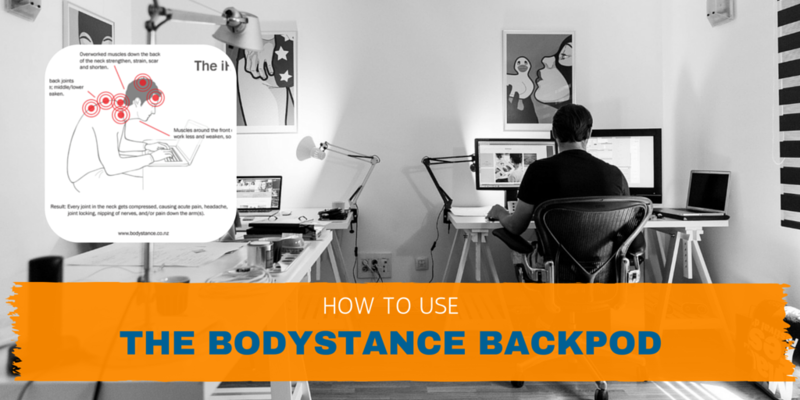 The Bodystance Backpod is an innovative way to help relieve upper back and neck pain. 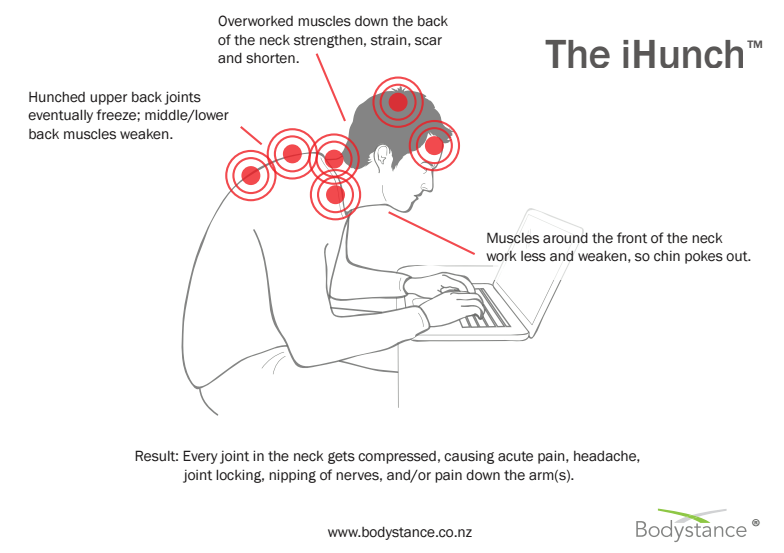 It is especially effective for people that are often hunched over computers and other devices, otherwise known as the “ihunch”. The Backpod is a half orb made with an unyielding core and a cushioned outer layer. It allows you to lie back and give the back and neck a good stretch. We ship our products internationally (most orders arrive in 6 business days). 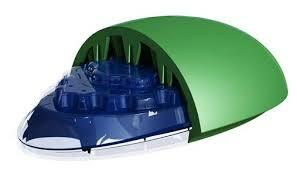 If you would like to know more about the Bodystance Backpod, please browse our online catalogue. Previous story Did you know Flixonase is a Generic Flonase?